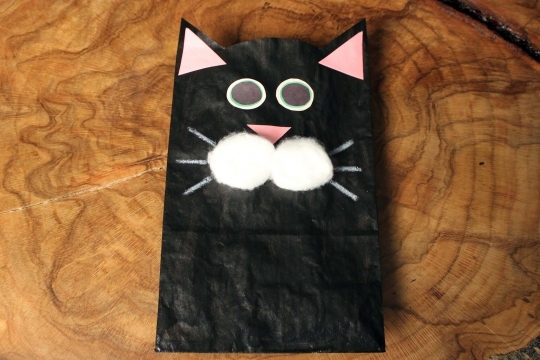 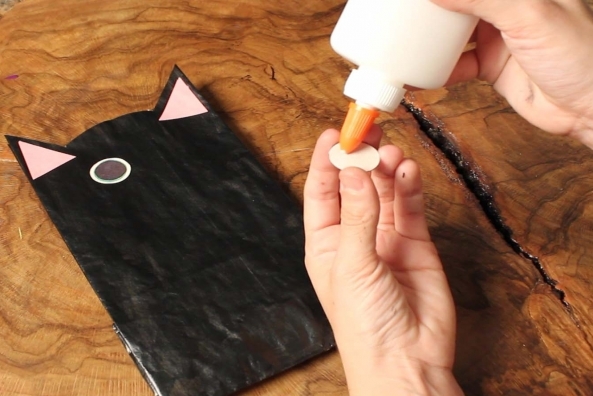 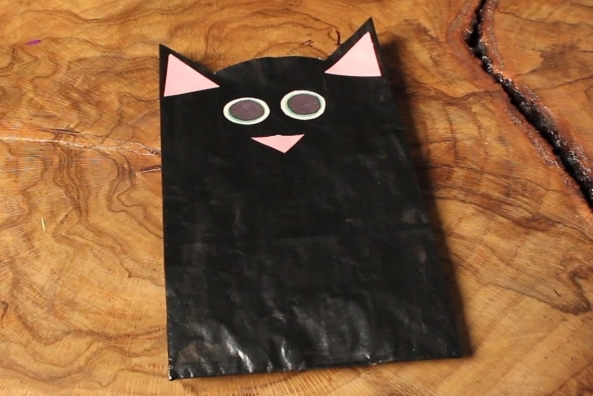 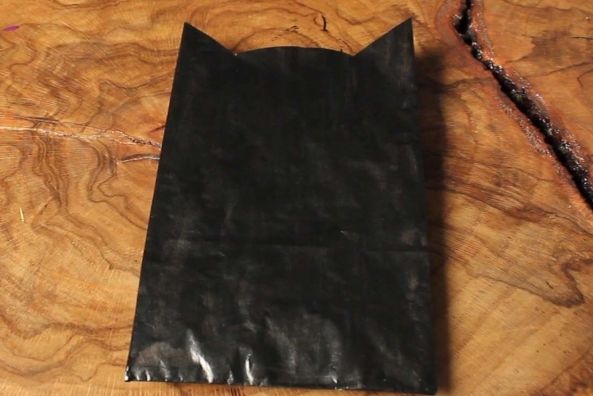 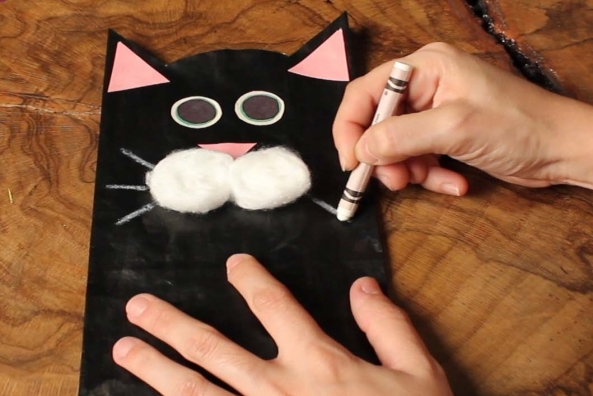 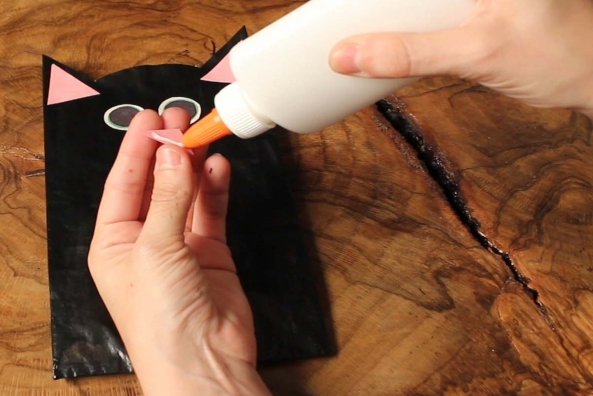 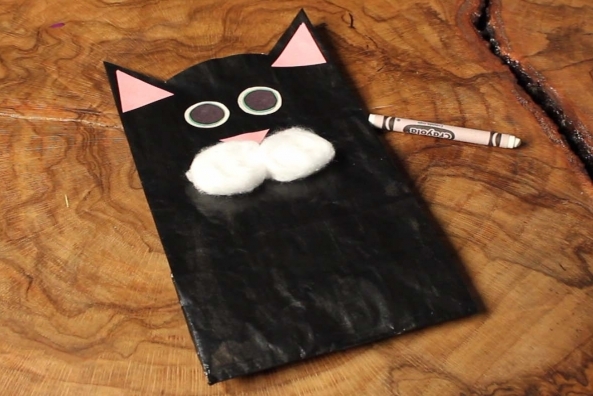 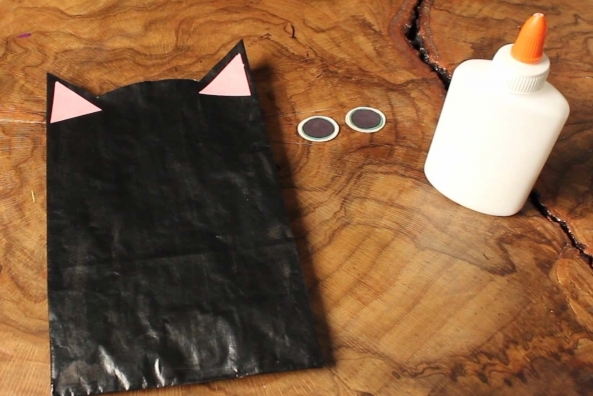 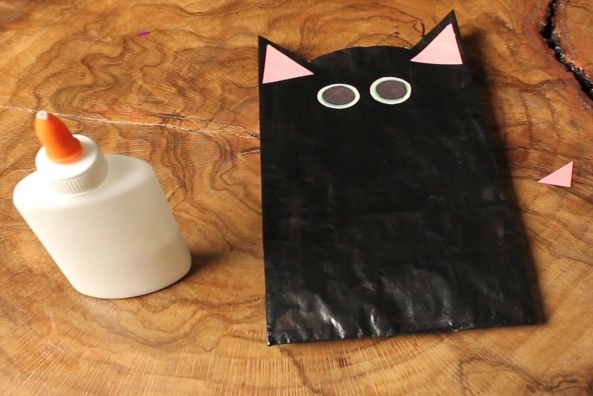 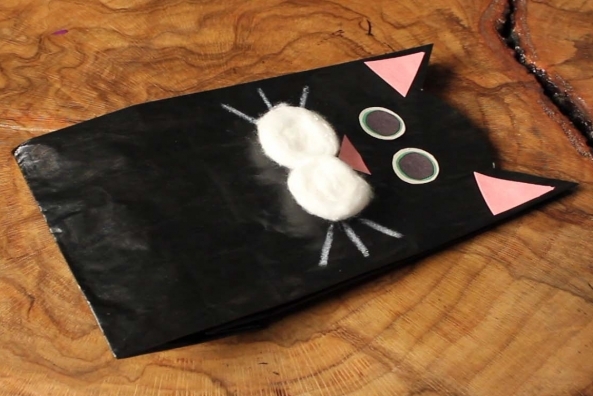 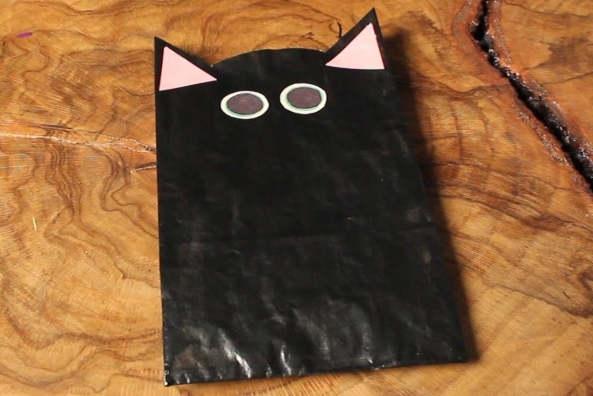 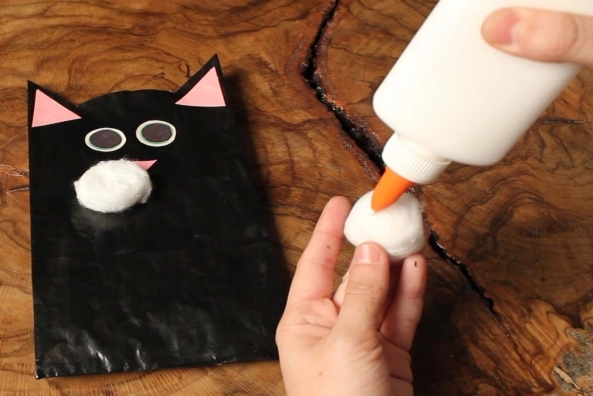 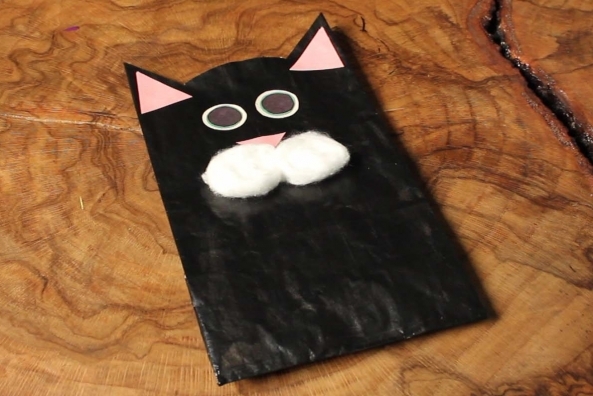 Transform an ordinary paper bag into a spooky cat with paint and paper! 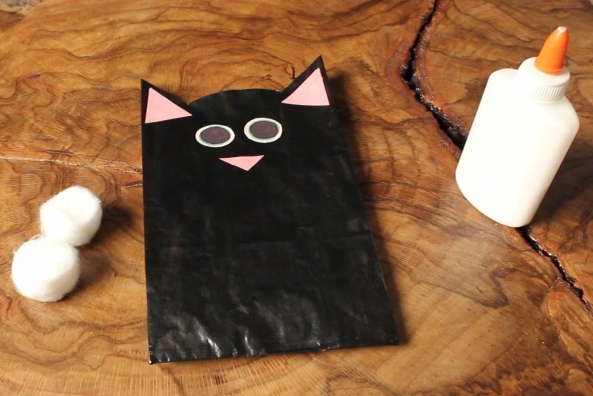 Where do cats go when they go exploring? 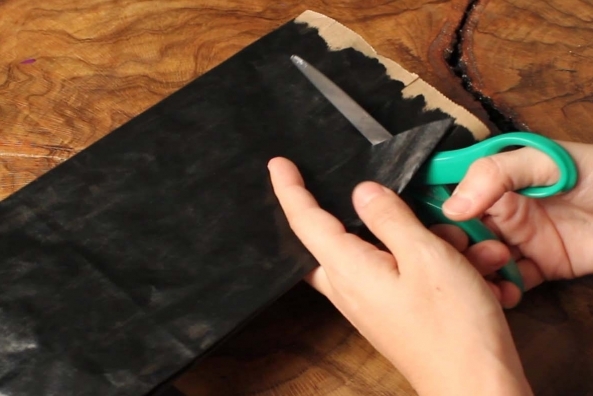 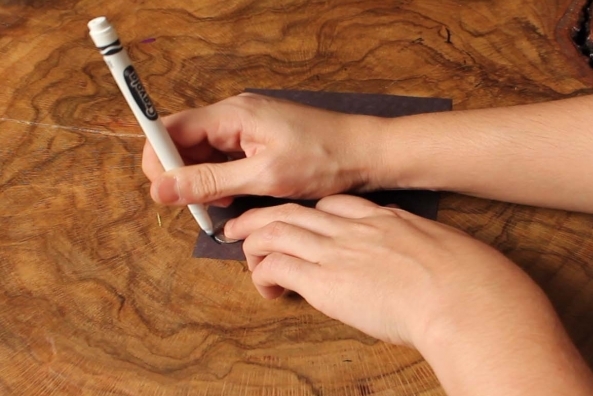 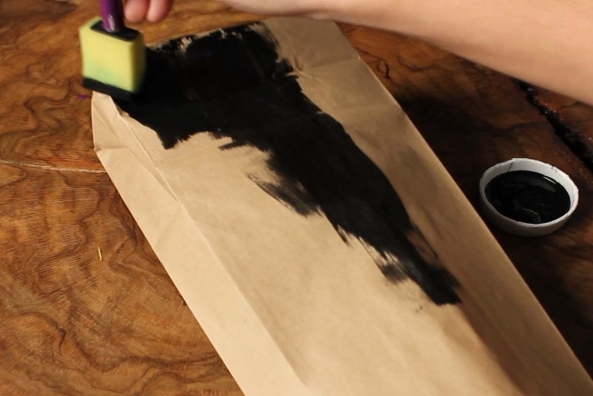 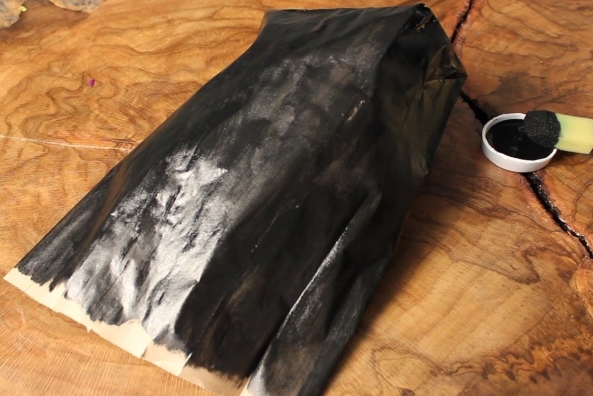 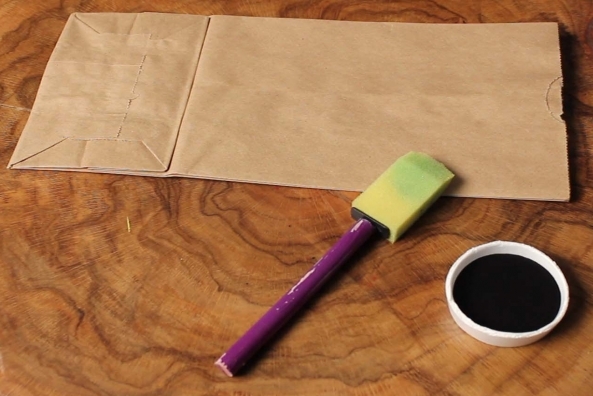 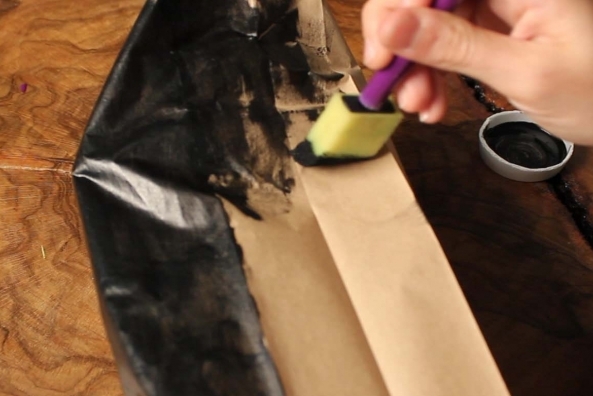 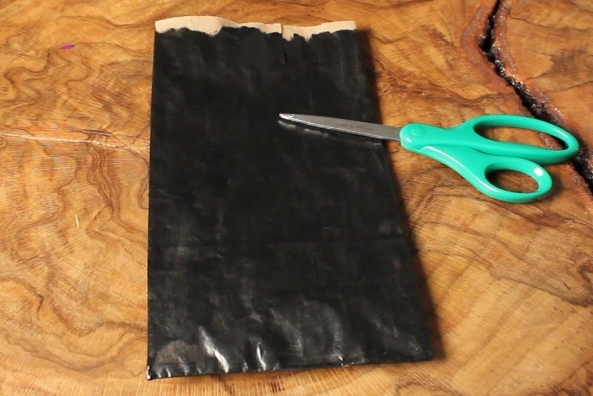 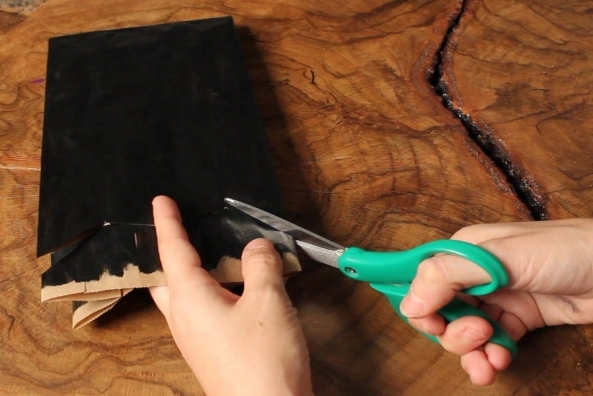 Paint a paper bag all black. 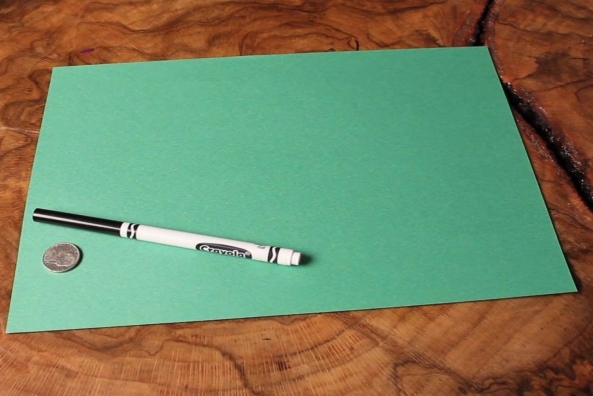 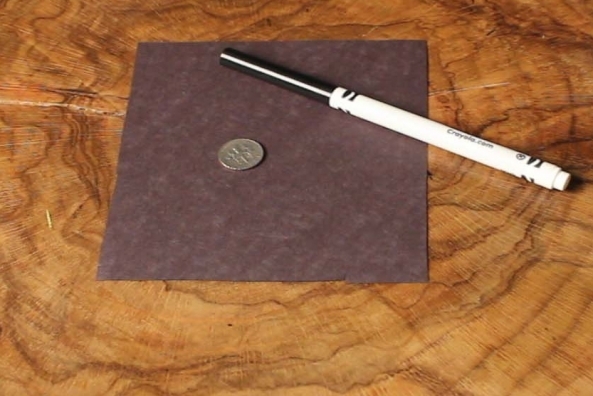 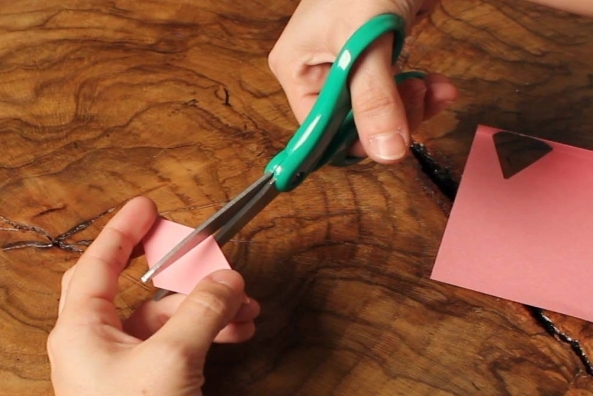 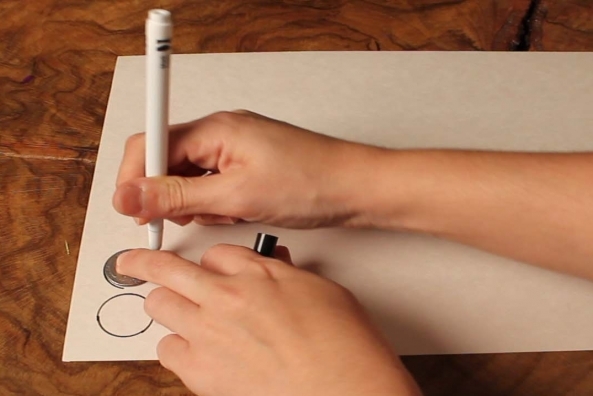 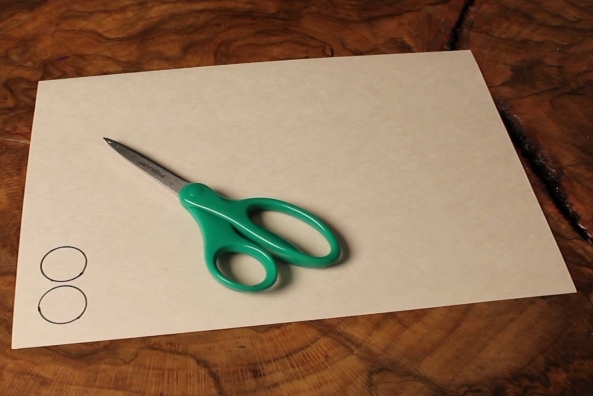 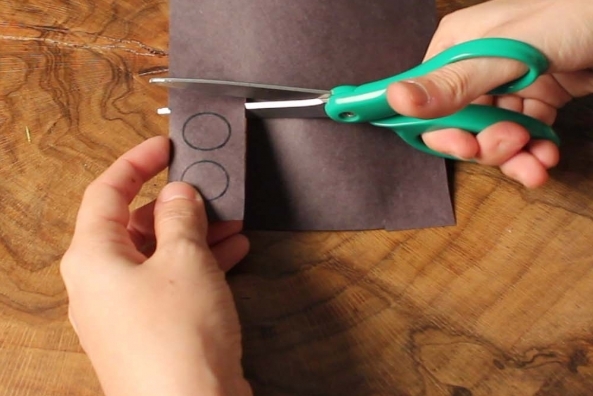 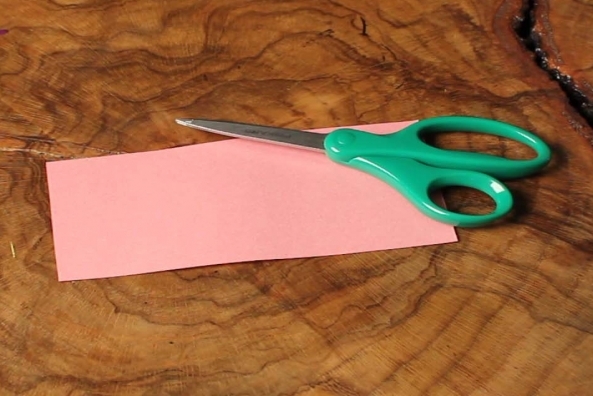 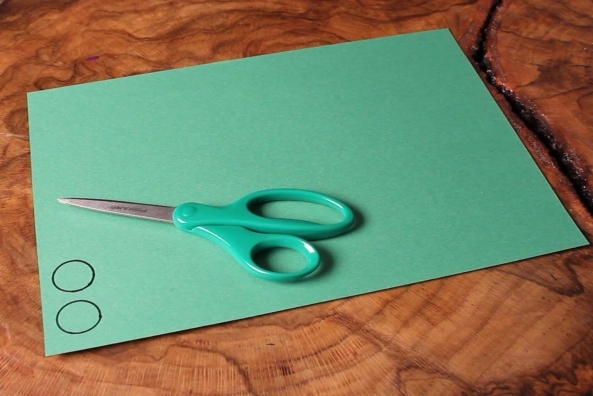 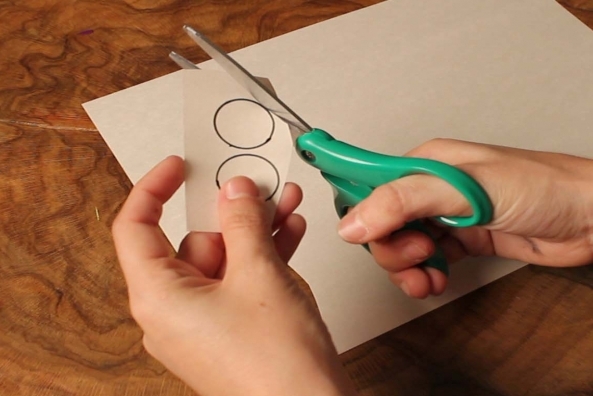 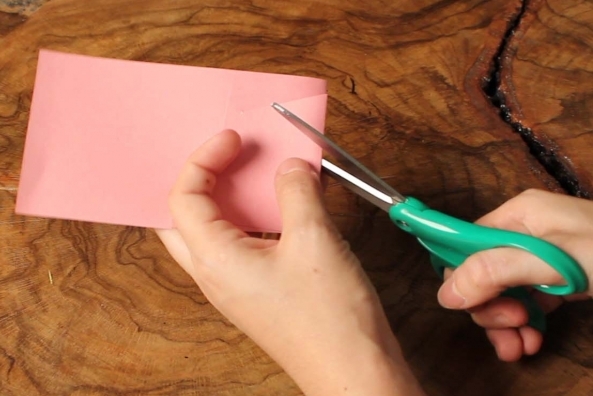 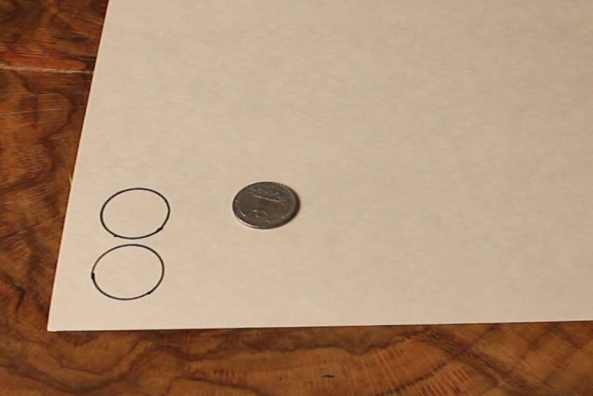 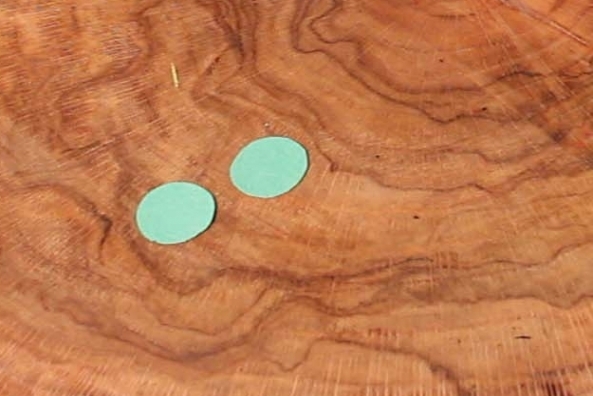 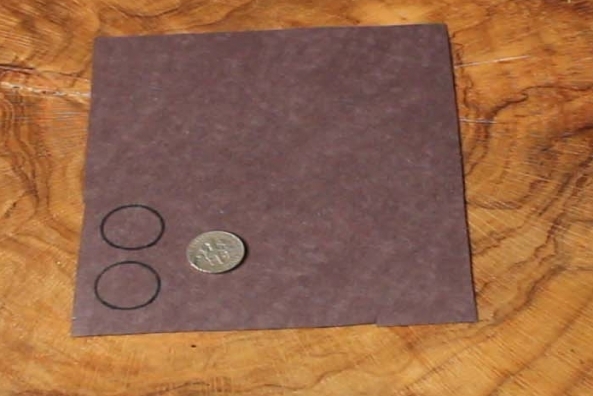 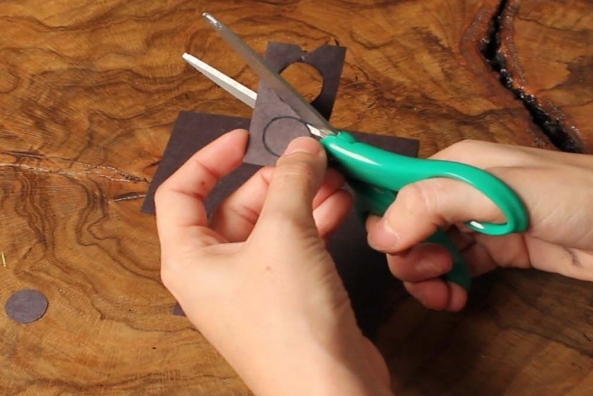 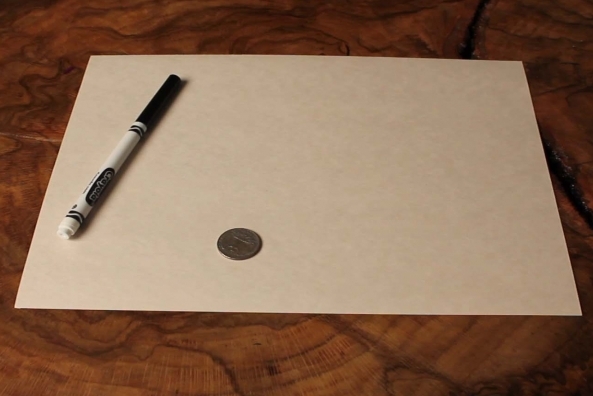 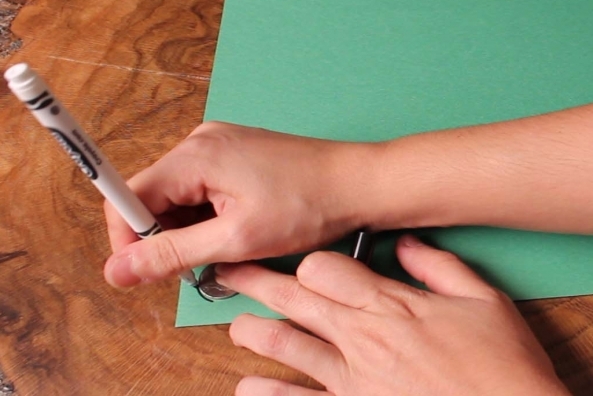 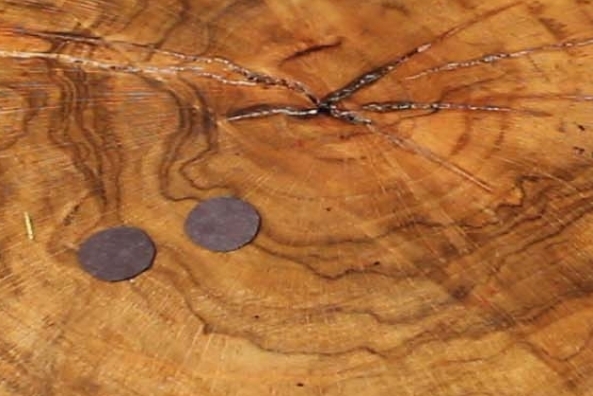 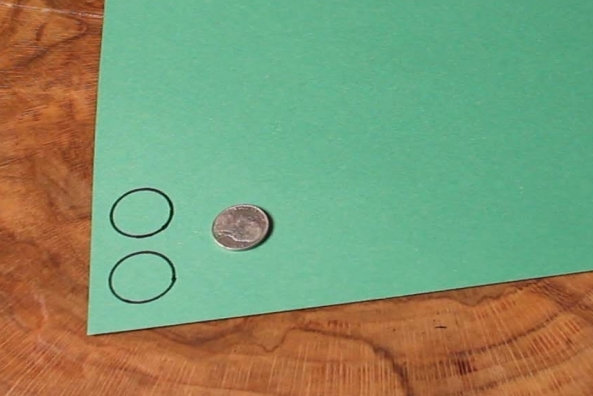 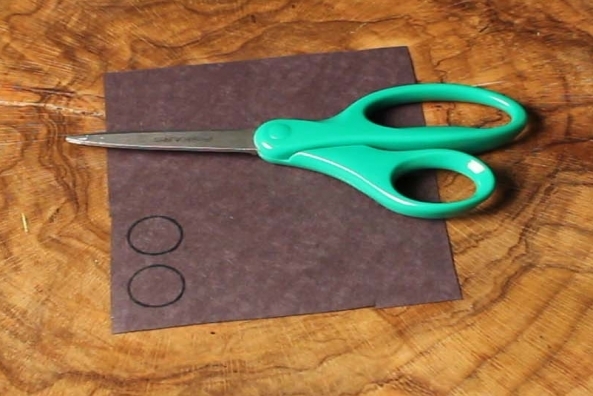 Trace a nickel two times onto a piece of green construction paper. 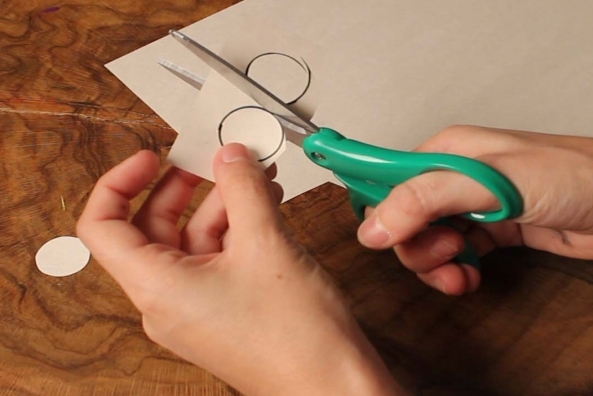 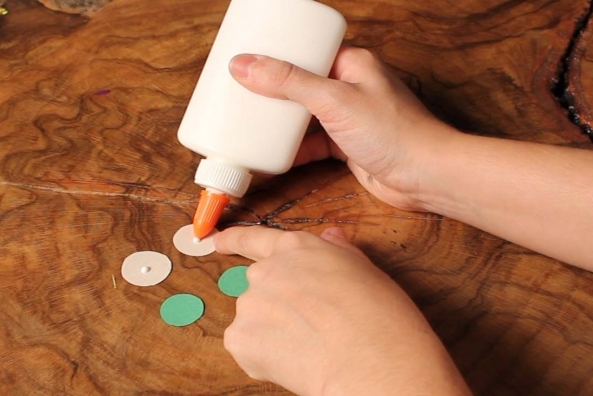 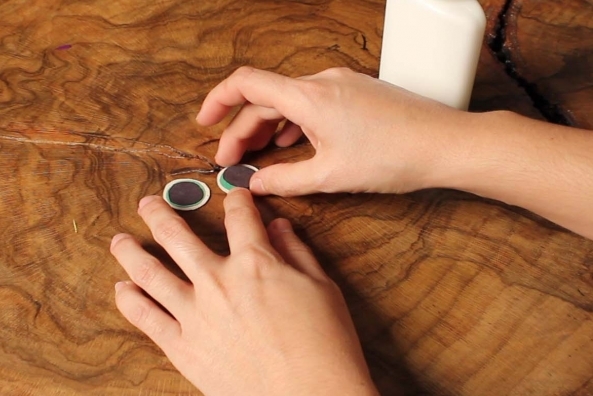 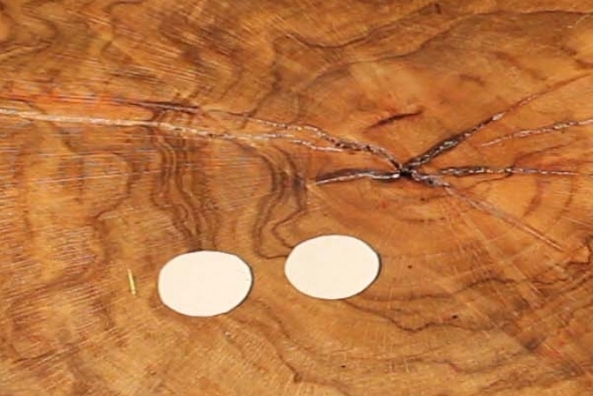 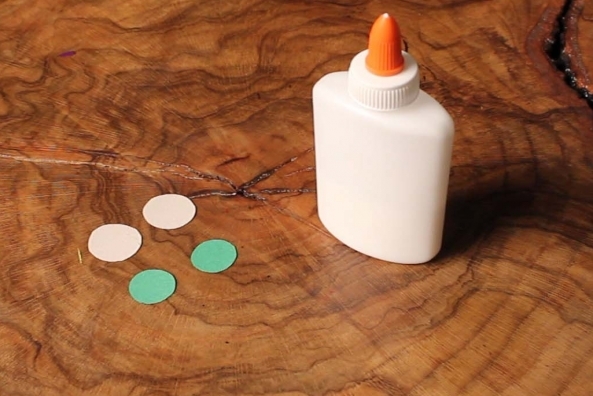 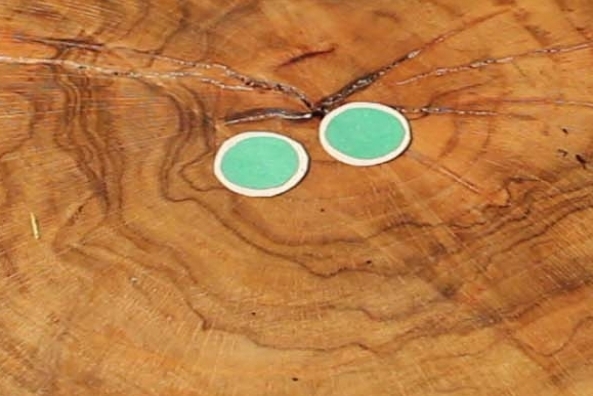 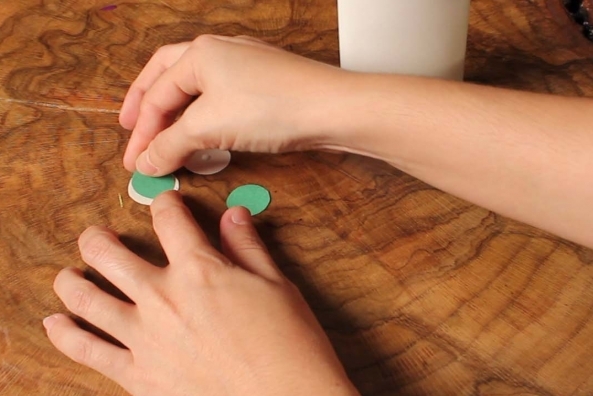 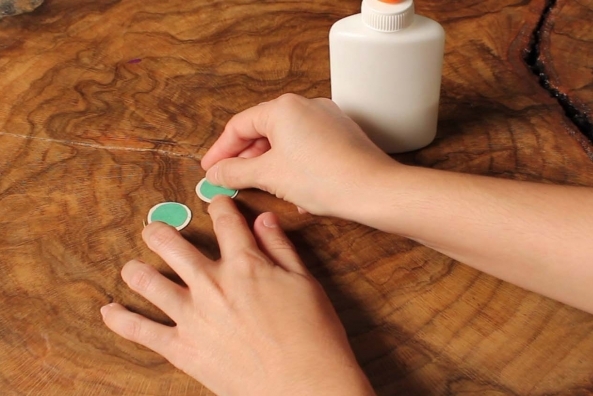 Glue the green circles onto the white circles. 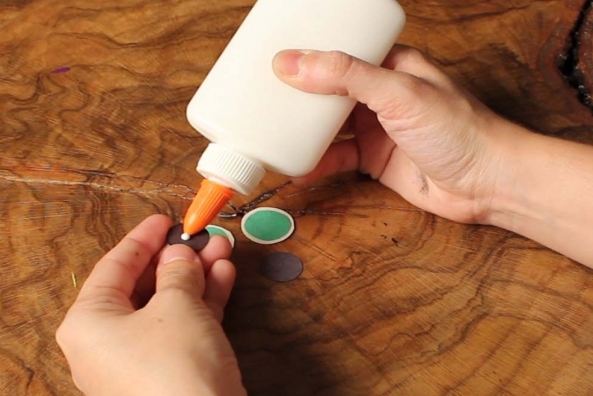 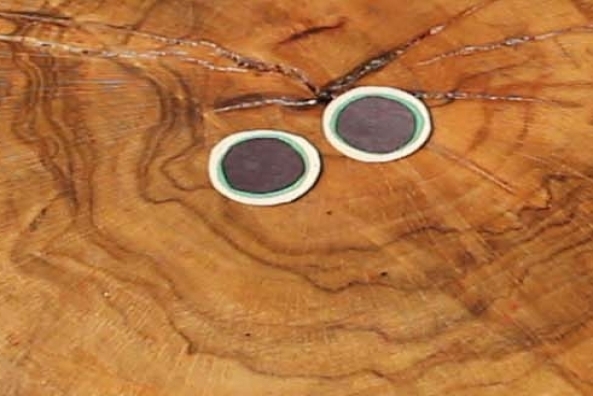 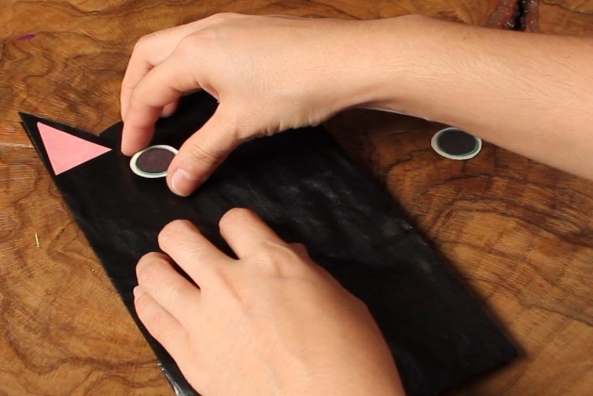 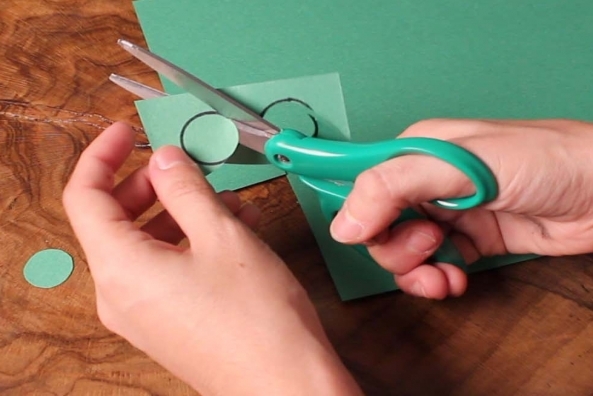 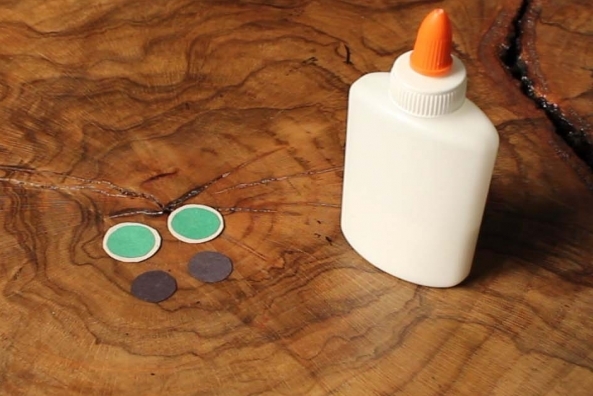 Glue the black circles onto the green circles. 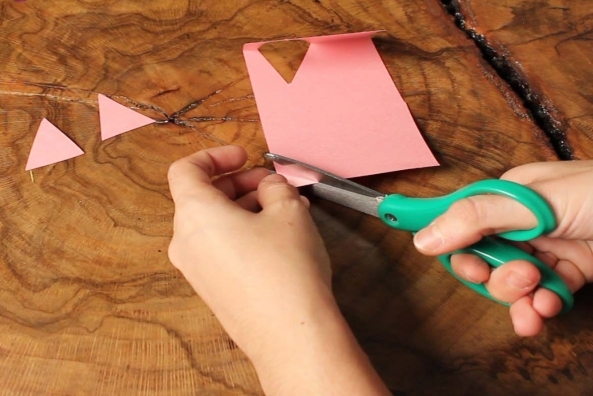 Cut out three triangles from a piece on pink construction paper. 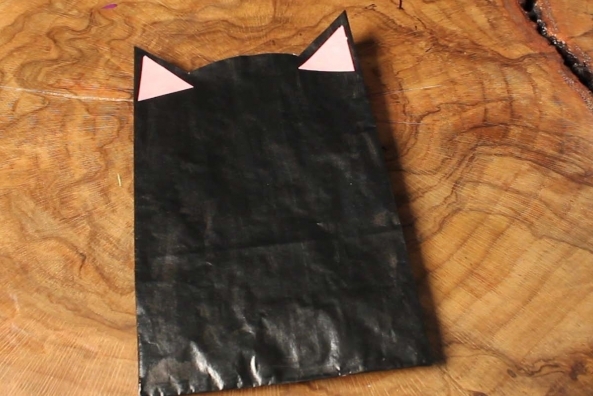 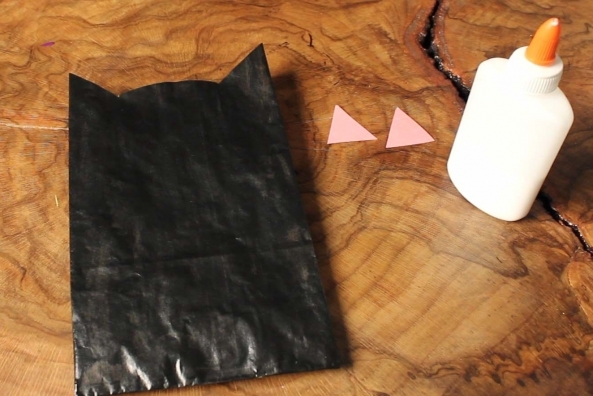 Lay your paper bag flat and cut across the open end to make two triangular ears and a hump in between the triangles to be the top of the cat head. 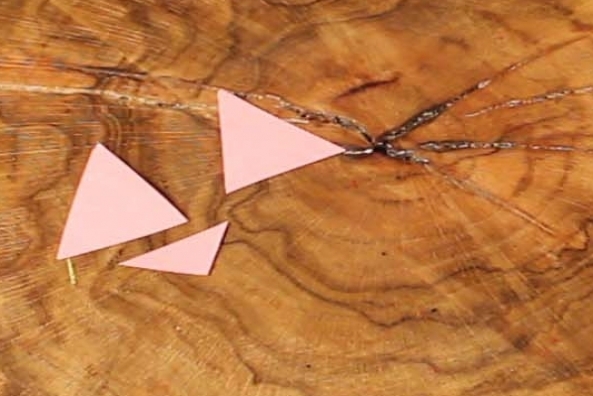 Glue two of the pink triangles inside the pointy ears. 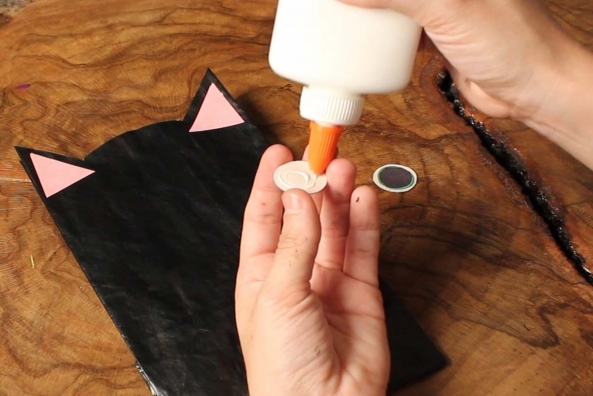 Glue the two eyes between the two ears. 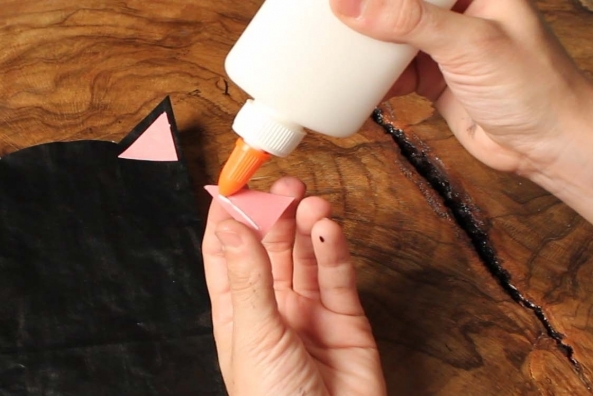 Glue the third pink triangle under the eyes to be a nose. 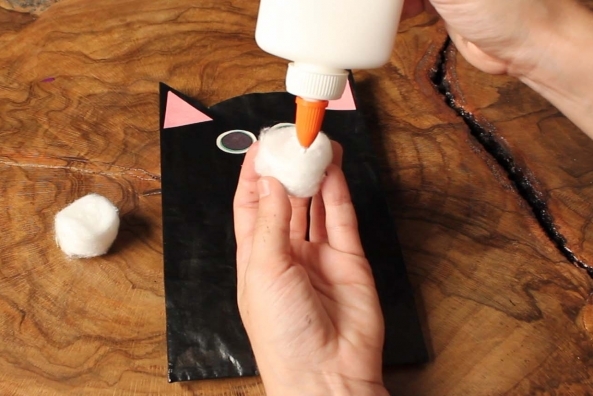 Glue two cotton balls under the noise to be the mouth. 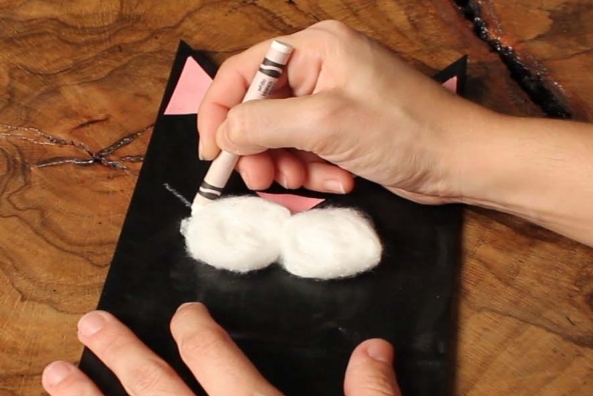 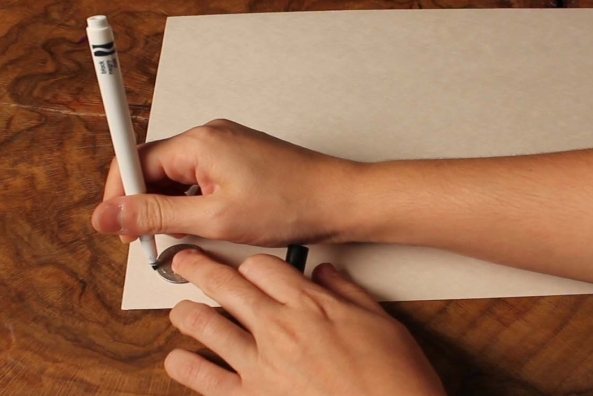 Draw whiskers on both sides of the nose and mouth with a white crayon.